The Antigua Hotels and Tourist Association (AHTA) is applauding the region’s leading umbrella tourism private sector organization, the Caribbean Hotel & Tourism Association (CHTA), and its efforts to find solutions to address the challenges and opportunities presented by the rapid rise of the online vacation home rental industry and other sharing economy businesses being fueled by hosting platform companies like Airbnb and Uber. CHTA has released a Resource Guide to support Antigua’s local efforts to create a level playing field through the taxation and regulation of the sector and its engagement in local public and private sector tourism development efforts. “This is a timely and helpful document with broad implications for Antigua and the Caribbean in general. We are fully supportive of the need to create a level playing field and look forward to working with government to advance the recommendations provided by the CHTA report,” said Alex deBrito, Chairman of the AHTA. The Caribbean has seen explosive growth in the short-term vacation home rental business. Taking advantage of new technology platforms, many residential owners throughout the world are sharing in tourism revenues by providing accommodations through marketplaces or host platforms such as Airbnb, VRBO, and HomeAway which have emerged as the industry’s top leaders. Airbnb, in particular, recorded more than 25,000 listings in the Caribbean as of February 2016 and is projecting significant growth this year. Destinations such as the Dominican Republic, Cuba, Puerto Rico, Guadeloupe, Jamaica, Cancún, Martinique and Barbados feature the most listings on Airbnb with continued growth projected throughout the entire region. St. Lucia expects a 17% year-over-year increase in stays in 2016. Aruba saw the number of visitors using non-traditional accommodations (private homes, apartments, villas, condominiums) in 2015 jump from 24% of visitors to 33%. “As many governments throughout the world have experienced, the sharing economy made possible by these hosting platforms is happening whether or not we choose to embrace it and it presents new opportunities for the industry as well,” said CHTA President Karolin Troubetzkoy. “This leaves us with two options: we can allow it to develop as an untaxed and under-regulated market and lose out on tremendous opportunities or we can bring all the players to the table to work out solutions to the benefit of all concerned parties,” added Troubetzkoy. “CHTA has endeavored to take a positive, constructive and balanced approach to the Guide, welcoming this rapidly developing accommodations sector but also calling for a fair play arrangement regarding taxation and some measure of standards beyond those applicable to residences. CHTA is not calling for there to be the same detailed and sometimes onerous regulatory requirements for hotels, but for a level of regulation beyond those which simply apply to residences. These are commercial enterprises regardless as to how one looks at it and the welfare of the guest and health, safety and reputation of the host property, the hosting platform, and the destination must be considered,” according to Troubetzkoy. 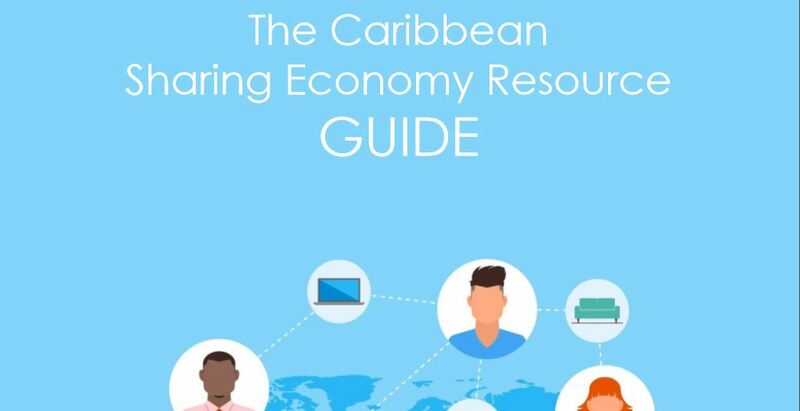 The Guide provides the region’s public and private sector tourism stakeholders with a summary of the key issues surrounding the sharing economy, its impact on the tourism sector globally as well as regionally, and the opportunities presented by this emerging accommodations sector. It offers solutions and new approaches for the Caribbean’s NHTAs and governments to consider when regulating and regularizing this emerging industry. And it sets the stage for engaging the emerging accommodations sector in organized public and private sector efforts to protect and grow the tourism industry. The proliferation of Airbnb and other such hosting platforms is also beginning to effect airlift capacity to some destinations. In some cases, increased airline load factors have reduced the number of seats available for traditional hotel guests or have driven up the cost of air tickets. “Therefore, it is important that we account for this growing accommodations sector in our research, product development, airlift development, and marketing efforts in order to plan accordingly,” noted Troubetzkoy. Increasingly, governments throughout the world are working in partnership with local tourism industry stakeholders and hosting platform companies such as Airbnb, taking a proactive approach to addressing challenges and concerns. With the support of companies like Airbnb, destinations are adopting new measures to address the taxation and regulation of home vacation stays. Underscoring the untapped potential for Caribbean jurisdictions experiencing budgetary challenges, a 2016 Airbnb study estimates that the 50 largest cities in the U.S. would have collected an additional $200 million in occupancy taxes in 2015 if taxation measures and supporting collection and enforcement protocols were in place. “By embracing the sharing economy, we are able to hold non-traditional accommodation and service providers to a higher degree of responsibility than that which is typically expected for strictly residential use. This will help protect the reputation of a destination and the Caribbean brand as a whole,” said Troubetzkoy. CHTA is supporting local efforts to bring together public and private sector stakeholders to review their existing laws and regulations pertaining to taxes, health and safety requirements and other standards, incorporating the necessary changes for the sharing economy. The Caribbean Hotel & Tourism Association (CHTA) is a federation of 32 National Hotel Associations, with more than 600 member hotels and over 300 allied members. CHTA is the largest representative of the private sector in the Caribbean hotel and tourism industry. We are the voice of the Caribbean hospitality industry for the development of the region in the highly competitive and sophisticated environment of international tourism. Today, tourism is widely recognized as a pivotal industry in the economy of the region – and CHTA functions as the common denominator for this industry in a region of diverse nationalities, languages and styles, identifying mutual problems and marshaling the resources of the active and allied members to devise solutions. CHTA represents all facets of the hospitality industry with more than 600 member hotels and over 300 allied members. CHTA, including the events staged by the association, is supported by Strategic Partners AskMe Inc., Clear Channel Airport Division, Interval International, JetBlue Getaways, MasterCard, OBM International, SiteMinder, Tambourine and TravelZoo.